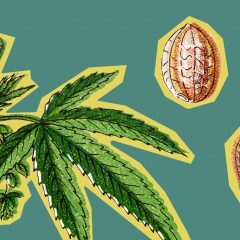 Naturally, the best way to prevent your cannabis from drying out is to take care of it in the first place, so let’s first go over some of the best preventative techniques for keeping your green fresher, longer. 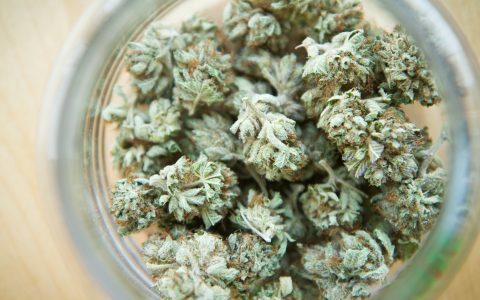 With these two easy precautions, you can extend the shelf life of your cannabis significantly. UV rays and oxygen are the enemies of fresh cannabis. 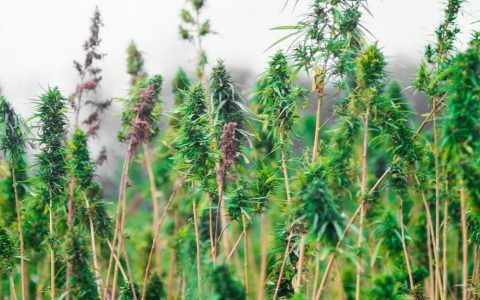 Sure, sunlight and oxygen were this plant’s best friends before it came off the stalk, but once the cannabis is dried, cured, and packaged, you want to limit its exposure to the elements as much as possible. 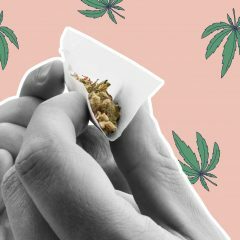 For people buying cannabis in bulk (i.e. 1/4 oz. or more), it’s prudent to portion out your cannabis to keep each pack at peak freshness instead of cracking open the same jar every time, exposing those fresh nugs to the unforgiving composition of your local atmosphere. Think ahead and keep your greens fresh! A flat of tiny, air-tight jars only costs about $10, and glass storage make a world of difference when it comes to keeping cannabis fresh. These don’t have to be anything fancier than a mason jar, but you can obviously find some pretty slick containers to house your stash. A plastic bag will work in a pinch or if you have nothing else. Just be sure to remove as much air as possible from the bag before sealing. My preferred method is to roll the bag up from the bottom—like a rolled taco or crepe—toward the seal. 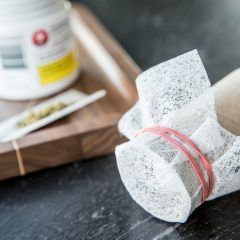 These simple techniques will keep your fresh bud fresher, but what if you get a dry bag of herb or you stumble across an old stash? Re-hydrating your cannabis is a delicate process that requires patience, but not much more. 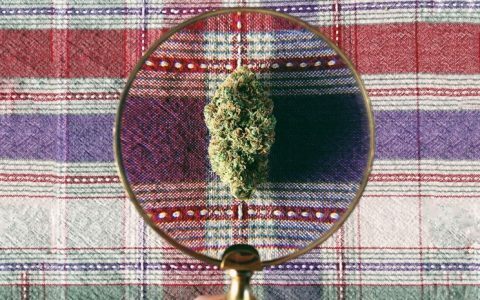 Here are a few methods that I’ve used and have gathered from cannabis aficionados around the web. Distilled water is not that different from other water, but it is an extremely important ingredient when re-hydrating your cannabis. Distilled water, unlike tap water, has been evaporated and recollected to remove impurities. This chemically pure water is also used in some humidors. 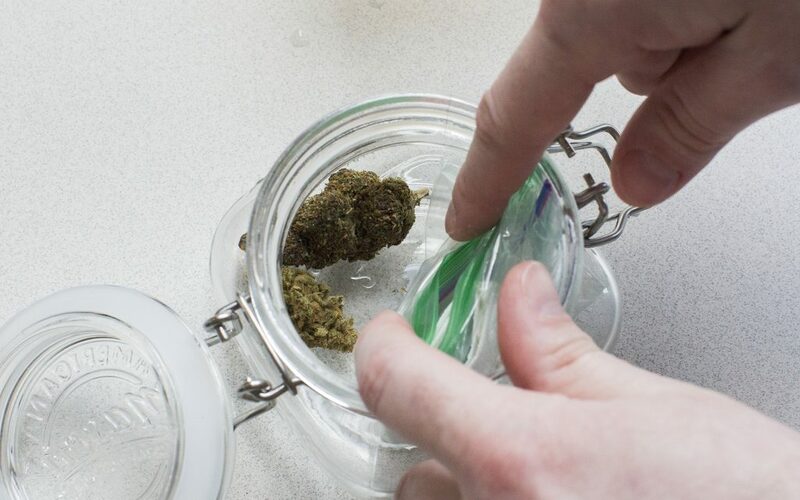 Whether your cannabis came in a jar, Mylar bag, or a medicine bottle, this method will work about the same for each. 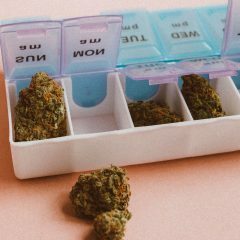 Find a container with a lid that is large enough to fit your jar/bag/bottle of cannabis with a little room for your damp, folded paper towel. Wet a fresh paper towel with just enough distilled water to get it about 70% damp. Don’t get your paper towel too wet, because excess moisture can lead to mold. 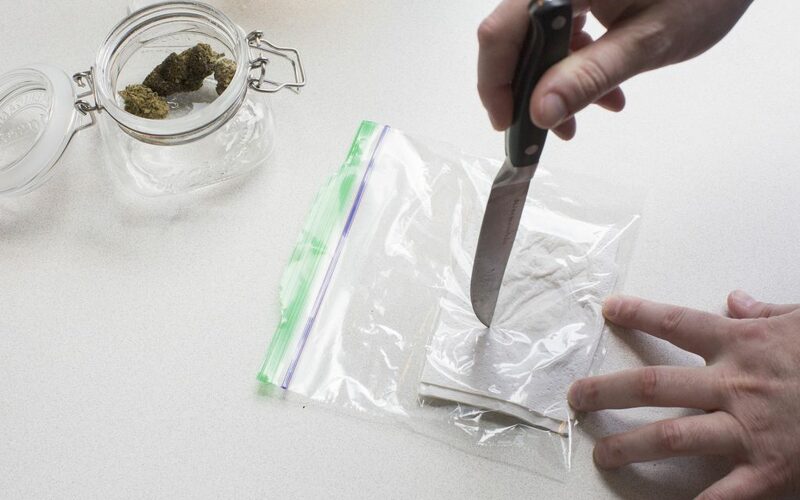 Place your open container of cannabis and your paper towel in your designated container and seal for 2-12 hours. This process should slightly improve the relative humidity of your cannabis. This isn’t a silver bullet for dry buds, but it should help. Note: This method is not a long-term solution­—the more times the bud is re-hydrated, the more susceptible it is to mold. Be sure to replace your paper towel and clean your container between hydration attempts. A fruit peel can be a nice way to up the moisture of your cannabis while gently infusing your dried-out herb with a light fruity undertone. 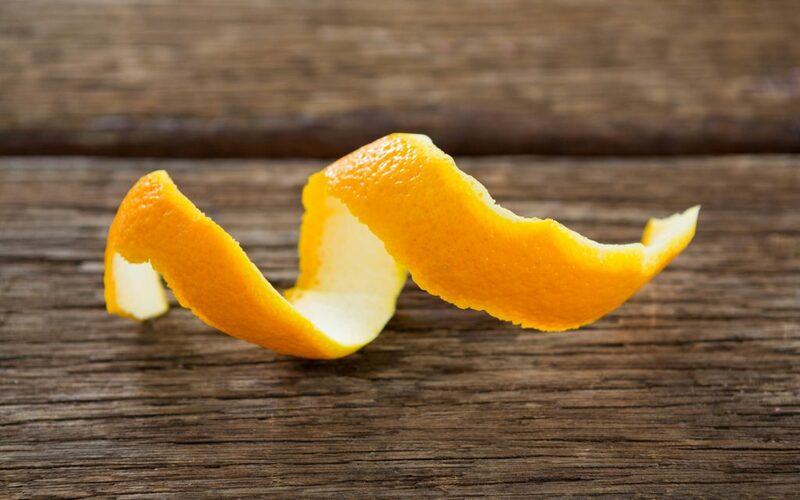 While the flesh of an orange holds most of its juices, the peel contains much of its essential oils and essences. Peels work well for re-hydrating cannabis because they are natural and moist without being damp. As with many of the options on this list, this is a temporary fix. Do not—I repeat—DO NOT use fruit peels as a long-term humidification solution. Doing so is a surefire recipe for mold. Personally, I would recommend using a peel for 1-3 days before discarding it (or composting it, if you have the option). Be sure to leave a little space between the fruit peel and your bud. This can be accomplished simply by having your cannabis in a perforated sandwich bag inside another sandwich bag. 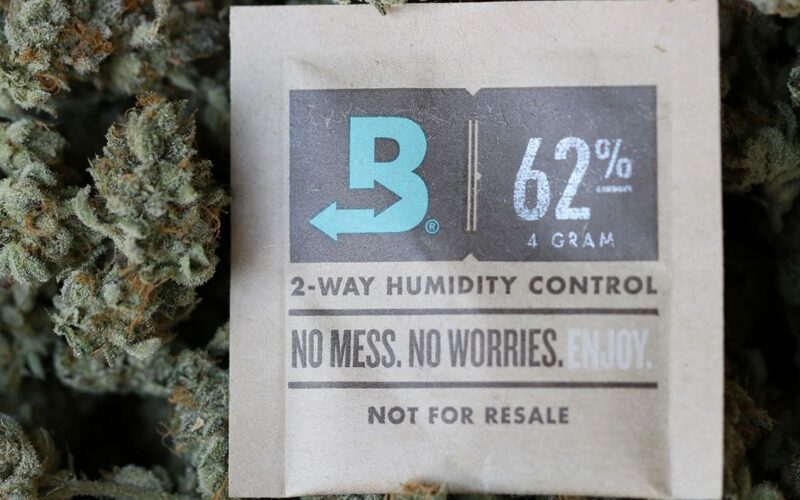 Boveda is a self-regulating disposable humidity pack that helps maintain relative humidity. Ideally, cannabis is stored at 55-62% RH (relative humidity). 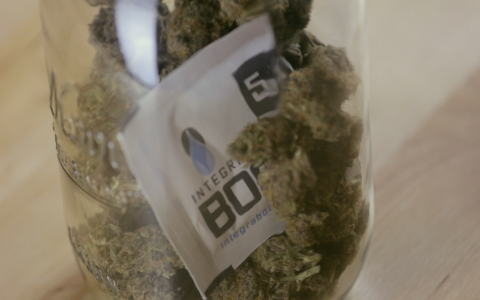 Luckily, Boveda designed a humidity pack specifically for cannabis consumers. 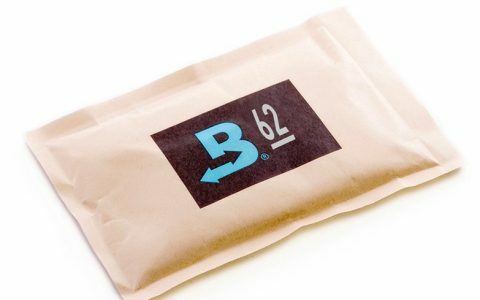 The Boveda 62% RH is a small, rectangular packet that is squishy to the touch. Boveda’s unique exterior packaging allows moisture to pass through freely, humidifying the contents of a bag or jar over time. 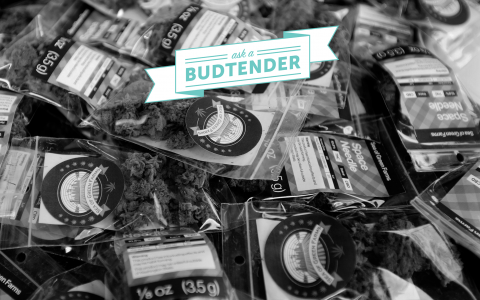 Boveda’s lifespan depends on the current humidity of the starting materials and the quantity of cannabis that needs re-hydration. When the Boveda is spent, the packet will lose its pillowy texture and become firm. You can replace Boveda packs as needed. 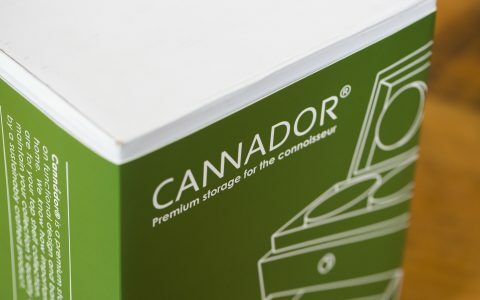 It may be the fanciest option of the bunch, but a cannabis humidor offers the best long-term solution to humidity control. A humidor is usually a cedar-lined box that contains a hygrometer to monitor relative humidity. 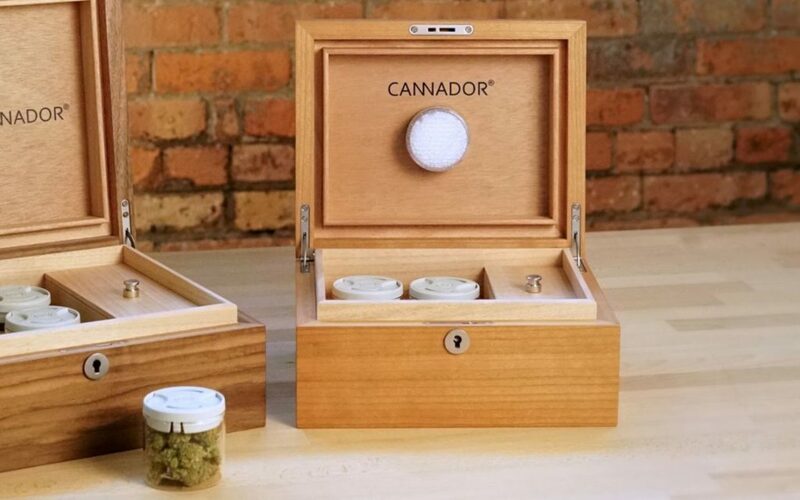 Some cannabis humidors, like the Cannador, feature a high-tech bluetooth humidity monitoring system. While a calibrated analog hygrometer works just fine for most people, having a discreet monitor for your cannabis’ relative humidity right on your phone is a truly modern perk. Humidors maintain their humidity in a couple of different ways. Distilled water and sponge humidifiers work fine, but this requires a bit of monitoring to keep humidity at the perfect level. Other propylene glycol mixtures will regulate at a certain humidity­—just make sure you pick a solution that has a RH below 65%. PG solution for cigar humidors usually start at 70% relative humidity, so be aware and pick up the correct bottle. These are just a few methods that I’ve found success with, but chime in and share your favorite way to keep your buds fresh. Great for smoking, but I want to get high. THC does not mix with water. Want to get high? dry your weed to the max. it’s science. Even when you cook with weed it has to mix with oil, not water, to extract the THC. I guess if you just want to taste the weed keep it moist and don’t inhale, then you get the full flavor. LoL 🤣 do you really think like that? Have you ever tried it? You can smoke more with no irritation than you could if it were dry and crumbling. You want to get high right? Smoking 1g dry and getting high after you coughed your brains out doesn’t make it more potent. You just lost oxygen to your brain for a bit and that rush is adrenaline boosting your high, but not intensifying it. Smoke more THC and you get a more intense high. I shouldn’t have to explain basic math to you should I? I’ve smoked dry weed in a one hitter for decades. Doesn’t lose anything and there is no coughing. One hit at a time and it works every time. Science ? It’s a weed that grows naturally in the landscaping – let’s not get too crazy. Did I miss the part about Mason Jars? I did not notice any mention of vacuuming packing your herb. I would like to know more about that method such as would a person need to vacuum all the air out of the bag or could you leave some air in (since it is airtight) or would that be harmful. 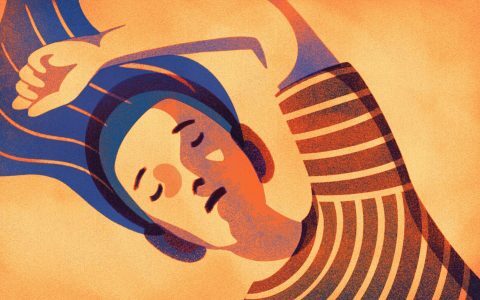 Would love to get some feedback from some one who has experience with this method. Vacuum packing: would this be more effective than Mason Jars? No. Plastic has static electricity that pulls the thc from the herb. Never use a bag even vac sealed if you can use a mason jar. You will notice a lot of crystals stuck to the plastic if you put it in natural light. I am a medical marijuana patient with 10 years of experience. What about a vacuum-sealed Mason jar? 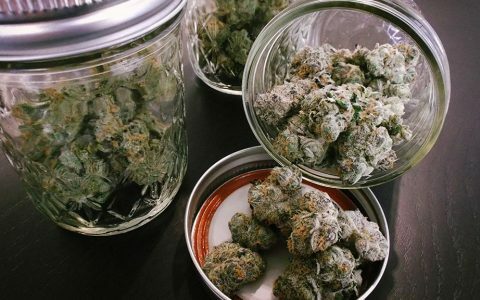 Obviously, glass is the best type of container in which to store your weed — just wondering if it’s better to remove the air from the container for long-term storage. Sounds fine. The goal is to keep it from fresh oxygen as much as possible. Which does dry it out. That would actually depend on what type of environment you’ll be storing it in . Vacuum packing is inconvenient unless you weigh it out precisely to each individual weight you intend on gifting it out to whomever . My dispensary people don’t like vacuum pack, as it breaks off the trichomes. No one should ever do this to quality marijuana unless you A) want to add false weight B) ruin what nature took months to grow and then someone took the time to cure. Keep everything in a jar. DO NOT REHYDRATE YOUR BUD. The best method I have found to put some moisture back into dry buds is putting a shade leaf from my still growing plants in the jar until it dries. And it gives the buds nice consistency when grinding buds to roll. Works every time. Just a thought for my 420 friends. I’ve been smoking bud for 50+ years. Stay high…. Honestly, I just dribble a drop or two of water into the container if it feels dry. Seal it. Next day, my weed smells like weed. Try with 1 drop first and adjust to suit. No products to buy; costs zero. a small piece of carrot is what i learned in the seventies…no added flavor and right into jar or bag for a few hrs does the trick and i have never had a mold problem.